Remember the MTV show Making the Video? 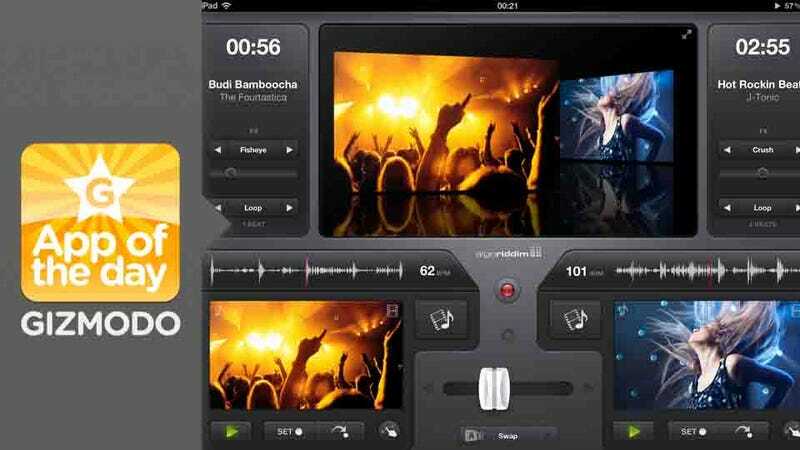 It may no longer exist, but with vjay, a music making app, you can make music vids of your own on the iPad. Vjay lets you make video mixes and stream them to your Apple TV or other AirPlay-compatible device. It automatically links up with your iTunes library, so you can make clips with your own songs backed by your own footage. You can capture new video with your iPad's camera, too. But if that's not your thing, you can also chop up YouTube videos, use pre-loaded reels, buy new stuff from the iTunes store. Then you can snip them up, scratch and remix songs, and sew them back together into your own video creations using the transitions and effects vjay offers.